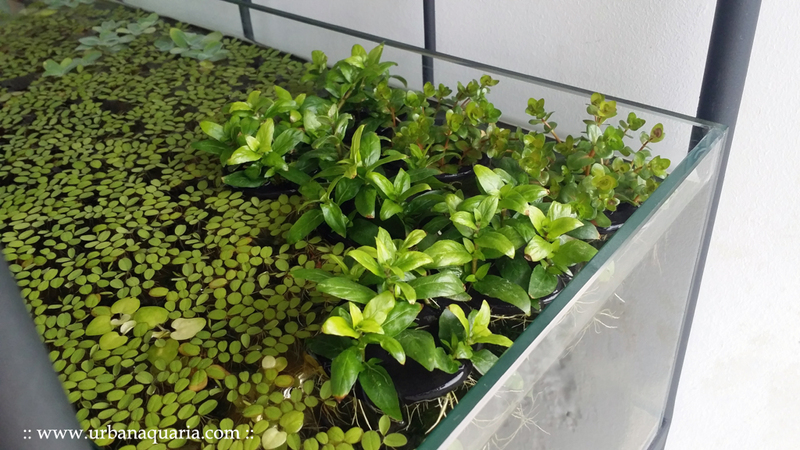 The majority of plants that we use in our aquariums can be grown both emersed and submersed, hence there are many online guides on paludarium and riparium setups, using containers, sponges or foam walls attached to the sides of aquarium tanks. That got me thinking... maybe i could create a sort of floating platform for those plants to grow emersed too? This would allow the floating plants to be easily shifted around and transferred from tank to tank. 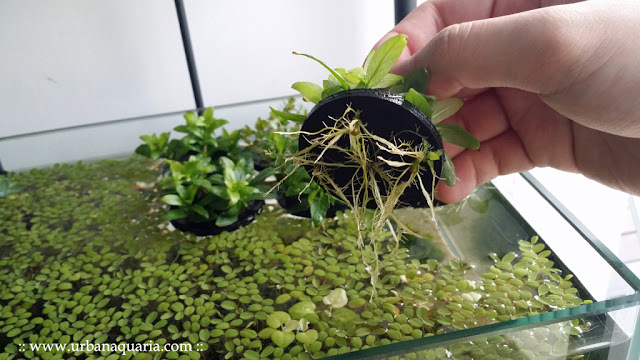 As i researched further, i discovered that there are already lots of ready-made floating island planters available online for ponds and hydroponics setups. Just google "floating island planters" to see all the various interesting designs. 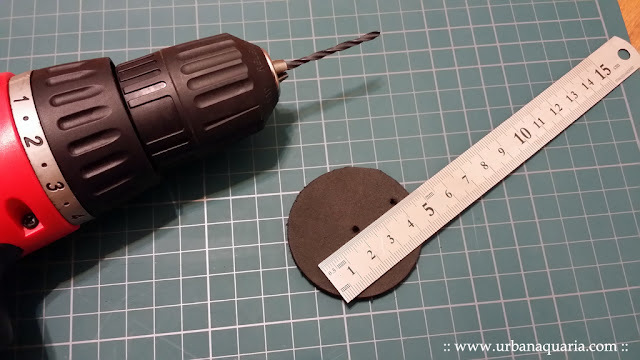 I use 5mm thick foam mats that are typically used as under tank foam bases, and then cut out 5-6cm diameter foam discs with a compass circle cutter. Then i drilled a few evenly spaced holes into the foam discs. 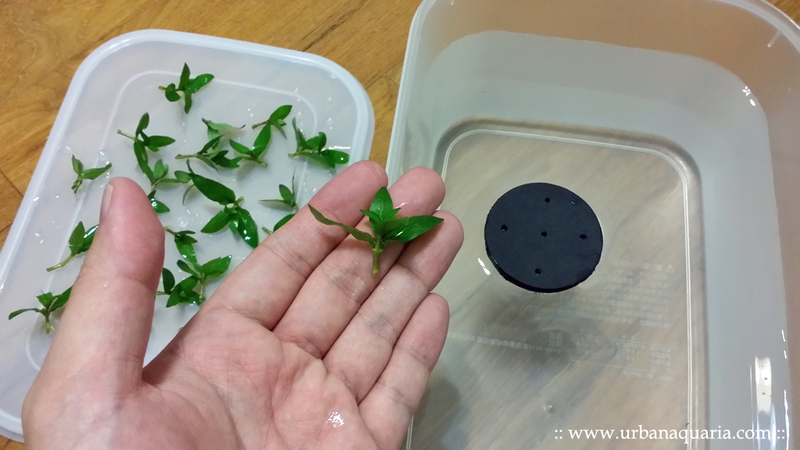 Next, i prepared the plants by separating them into individual short stalks and removing the bottom leaves, so that they can be inserted into the drilled holes. In this example, the plant i'm using is Staurogyne repens... a popular aquarium plant that grows well both submersed and emersed. 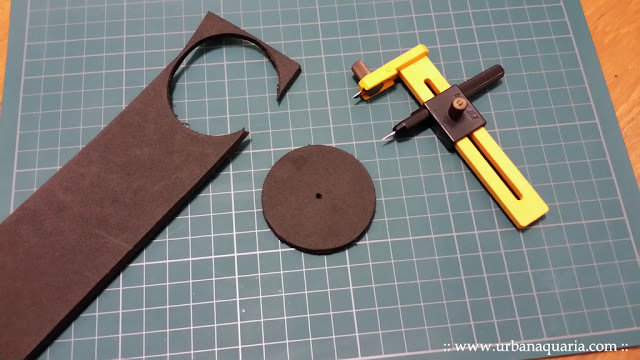 Stick all the stalks into the foam disc, make sure the bottom sections of the stems protrude from the foam disc. 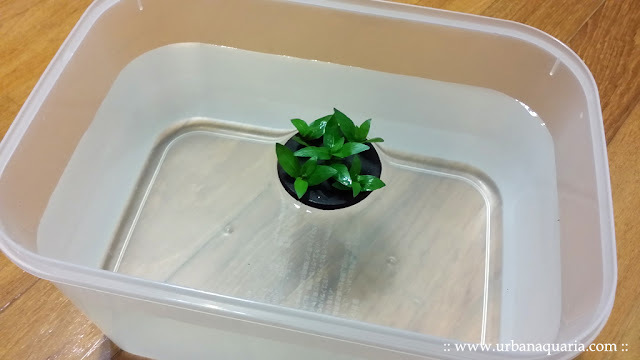 Put into a container of water and test to make sure it floats. 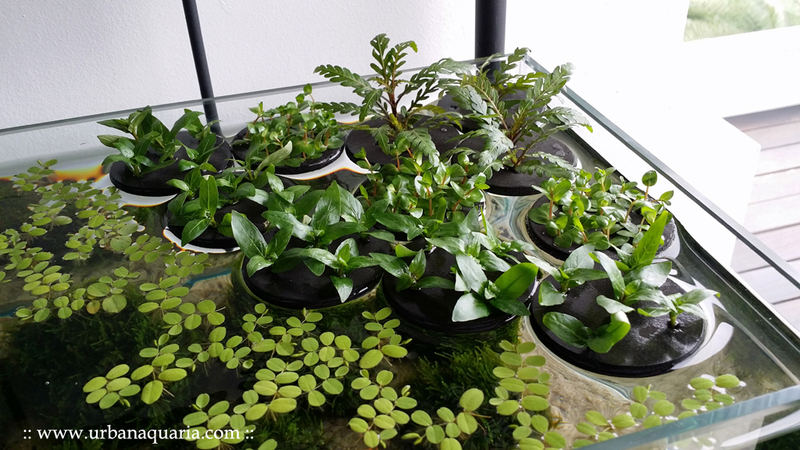 Now repeat with all sorts of other plants... here i use nice plants like Rotala indica and Hygrophila pinnatifida. 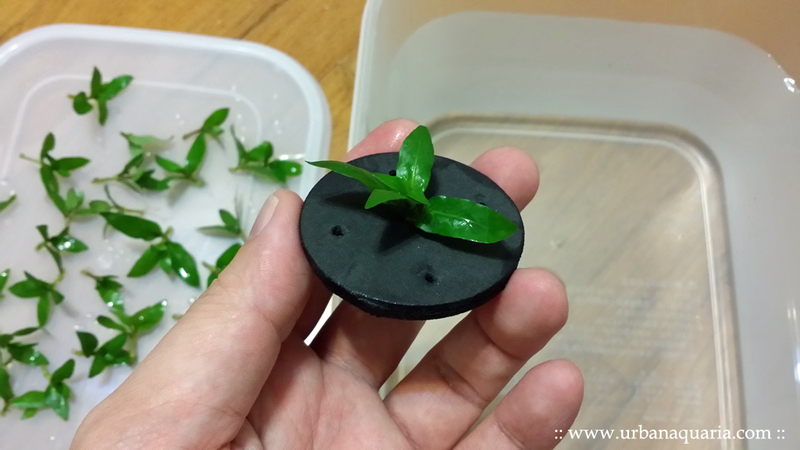 Once done, just place them on the water surface of your aquarium. Provide ample sunlight and nutrients. You now have a variety of floating plants! As these plants grow, their extensive water roots will also grow out too. You can easily move them around or shift them from tank to tank. Emersed plants tend to grow faster and healthier, without requiring additional Co2 injection and without all the pesky algae issues. 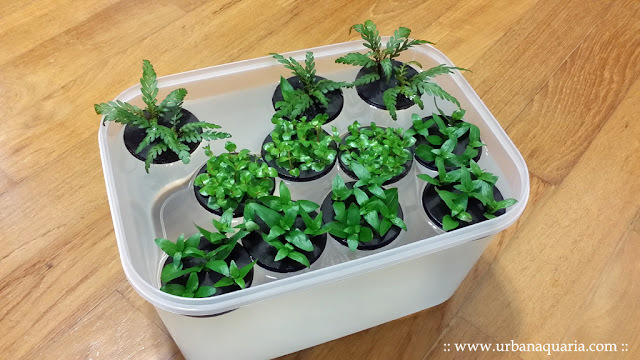 These plants will help to soak up excess nutrients and provide an additional layer of lush aquascape on top of the tank. Great idea. 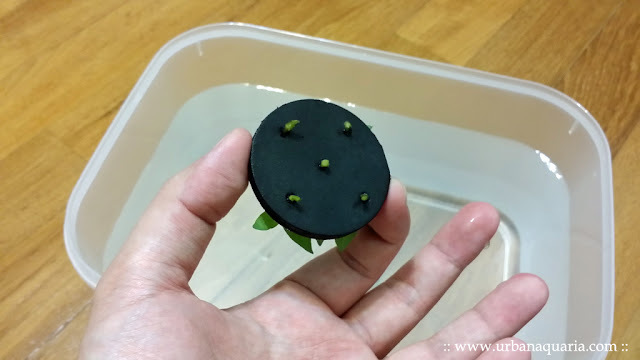 Just a thought, but if you made a slit to the hole, you could pull the plant out later if you wanted to re-submerge it. Glad your back, this blog has been a very useful guide.